WASHINGTON — A year after a $20 million prize purse expired, a team in the former Google Lunar X Prize competition could still pick up a smaller consolation prize if it lands on the moon next month. That award will go to SpaceIL, the organization said, if its Beresheet spacecraft is able to successfully land on the lunar surface next month. The spacecraft, launched into an elliptical transfer orbit in February as a secondary payload on a Falcon 9, is on track to enter orbit around the moon April 4, with a landing scheduled for April 11. SpaceIL was one of the many teams — at one point numbering more than two dozen — that competed for the Google Lunar X Prize. The competition offered a $20 million grand prize to the first privately developed spacecraft to land on the moon, travel at least 500 meters across its surface, and return images and video. The X Prize Foundation announced the competition in 2007, with original plans calling for the grand prize to decrease to $15 million if no team won it by the end of 2012 and then expiring at the end of 2014. The foundation subsequently extended the deadline several times, but announced in January 2018 that the competition would end in March 2018 after the prize sponsor, Google, declined to extend it further. “Though the Google Lunar X Prize went unclaimed, we are thrilled to have stimulated a diversity of teams from around the world to pursue their ambitious lunar missions, and we are proud to be able to recognize SpaceIL’s accomplishment with this Moonshot Award,” Anousheh Ansari, chief executive of the X Prize Foundation, said in a statement. While no team won the grand prize, the foundation did award a total of $5.25 million in “milestone prizes” in 2015 to five teams who had made progress on imaging, landing or mobility systems needed for their landers. Those teams included Astrobotic and Moon Express in the United States, Part-Time Scientists in Germany, Team Hakuto in Japan and Team Indus in India. Those organizations are continuing their lunar lander plans even after the end of the original X Prize competition. Astrobotic and Moon Express are among the nine companies that received Commercial Lunar Payload Services (CLPS) awards from NASA last November, making them eligible to carry NASA payloads to the moon on their commercial landers. Japanese company iSpace, the parent of Team Hakuto, is partnered with another CLPS awardee, Draper, and is pursuing its own lunar landers. TeamIndus is part of a team led by OrbitBeyond, which also received a CLPS award. Part-Time Scientists, while not affiliated with any CLPS company, is continuing work on its own lunar lander with a number of corporate sponsors. 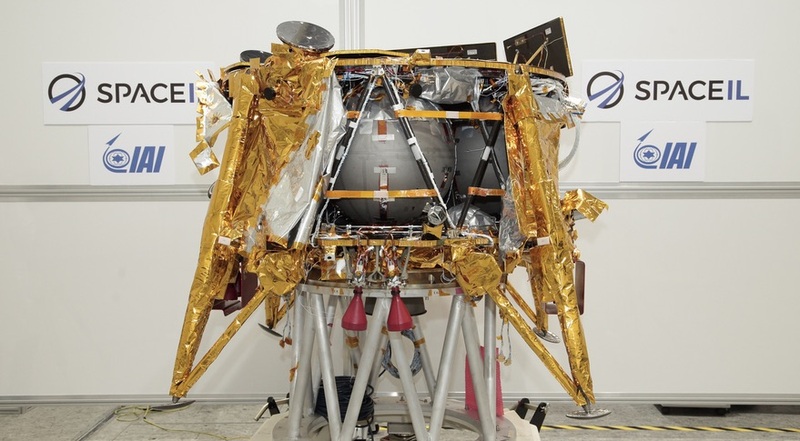 Israel Aerospace Industries, who built the lander for SpaceIL, is looking at other opportunities for using that system, including a partnership with German company OHB to study its use for European Space Agency missions. “SpaceIL’s mission represents the democratization of space exploration. We are optimistic about seeing this first domino fall, setting off a chain reaction of increasingly affordable and repeatable commercial missions to the moon and beyond,” Peter Diamandis, founder and executive chairman of the X Prize Foundation, said in a statement. Diamandis established the foundation more than two decades ago to support a single prize, a $10 million award for commercial suborbital spaceflight later named the Ansari X Prize. SpaceShipOne, a suborbital spaceplane developed by Scaled Composites and funded by the late Paul Allen, won the prize in October 2004. The X Prize Foundation has since branched out, offering prizes in fields ranging from artificial intelligence to deep sea exploration. It does not have any active space-related prizes.